"Mike And The Mad Dog"
No moment like that ever arrives in the 30 For 30 episode “Mike And The Mad Dog,” though it’s clear that a lot of the people interviewed in Daniel Forer’s snappy, surprisingly emotional documentary keep waiting for the big apology to happen. The episode opens at the 2016 FrancesaCon at Radio City Music Hall, where former WFAN sports talk radio hosts Mike Francesa and Chris Russo were reunited onstage before a roaring crowd; and at the end, famous fans like broadcaster Jim Nantz admit that they still hope the pair will work together again. “I wasn’t done listening to them,” says New York Yankees play-by-play announcer Michael Kay. Feel free to direct some of your own wistful regrets toward the episode itself, though. This is an entertaining and fairly enlightening 30 For 30—especially for anyone outside the New York media bubble—but because it’s so good so often, it’s hard not to want more. With only an hour to play with (or 50 minutes, minus commercials), Forer can’t give every topic its full due; and every time he digresses, it takes away from material that could’ve used more attention. Here’s a case in point: In one of the radio show’s more infamous broadcasts, on September 12, 2001, Francesa and Russo took a call during which they argued with a Jewish-American listener about his professed loyalty to Israel over the United States. Because WFAN didn’t archive the episode, for years the incident was reported as being far dicier than it was. (Recently, Deadspin tracked down a tape and clarified what actually happened.) As presented in this 30 For 30, this controversy is little more than an anecdote, quickly glossed over. But in the too-brief commentary about the September 12 show, Forer raises the question of whether massive popularity coupled with five hours of airtime to fill every weekday was a recipe for half-cocked demagoguery on a variety of non-sports subjects. This could’ve been a fruitful theme for “Mike And The Mad Dog” to explore, and perhaps a way of comparing Francesa and Russo more to the “shock jocks” who were ascendant during their heyday. Another missed opportunity: The episode gets into how the show may have pressured the New York Mets into trading for catcher Mike Piazza and talks about how Francesa and Russo had the good fortune to be headquartered in New York in the ’90s, during a stretch when the city’s pro sports teams were incredibly successful. But “Mike And The Mad Dog” really doesn’t do enough of this kind of contextualizing of what else was going on in sports and popular culture between the pair’s debut in 1989 and when they diverged. What it does capture in ample detail is the rise of WFAN, the particulars of the talk radio business, and the evolving dynamic between these two stars. Both had very different voices, personalities, and backgrounds—with Francesa the gruff, serious, working-class skeptic and Russo the hyperactive, easily outraged Long Island preppie—and they initially balked when their bosses paired them up in afternoon drive-time. They soon bonded, though, over their whirlwind success, which itself helped transform WFAN from a generic, national sports talk outlet into something with more of a distinctive Big Apple slant. Yet even as they became close friends off-air, some professional resentments lingered over how they were forced to share the spotlight, and over the way Russo was positioned as a sidekick to Francesa (who got to sit in the “power chair,” facing the production booth). 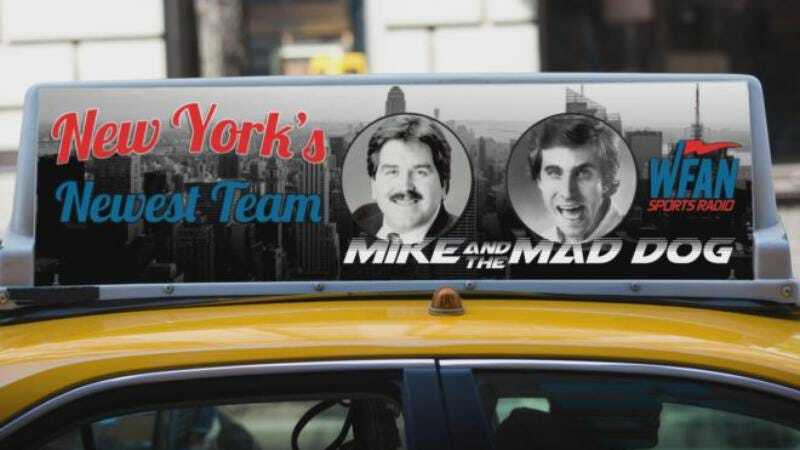 In the end, what makes “Mike And The Mad Dog” such a treat is the copious footage Forer has of the original show, which illustrates how Francesa and Russo would carry their grudges right into the booth every day, amping up the drama. This doc has thoughtful appreciations of the partners’ greatness from fans and colleagues alike, but the most important voice in the episode is the subtler one of Forer himself, as he packs as much of his subjects’ highlights into the hour as he can. The two men speak for themselves (often sentimentally) in new interviews, but they’re best represented in the vintage clips, which Forer often illustrates with on-screen transcriptions that preserve every endearingly human sputter and mispronunciation. There was a real spark there between these two—something hard to engineer, and all but impossible to replicate. 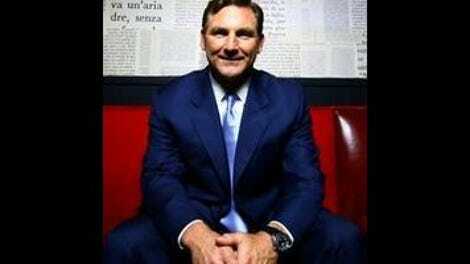 Francesa and Russo may not be willing to say it aloud, but it’s still true: They squandered something special.